Below you can view all the homes for sale in the Maple Grove subdivision located in Iron Station North Carolina. 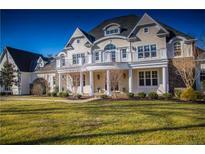 Listings in Maple Grove are updated daily from data we receive from the Charlotte multiple listing service. To learn more about any of these homes or to receive custom notifications when a new property is listed for sale in Maple Grove, give us a call at 704-705-8993. Lovely screened porch with fireplace overlooking outdoor oasis. Too much to list! MLS#3489566. Allen Tate Lake Norman. This Home is ready for you! MLS#3479122. EXP REALTY LLC. Additional features include a Movie Room, Home Gym, 4 Car Garage and a Customizable Basement Workshop and much more... Less than 10 minutes from Lake Norman and 20 Minutes from downtown Charlotte make this private luxury estate very desirable. MLS#3360228. Carlyle Properties.